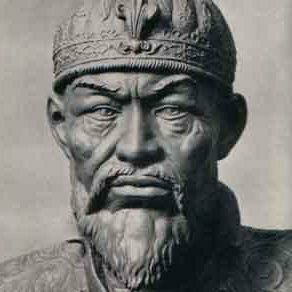 The oversized Tamerlane figure was a collation by German historians of two real historical figures for the most part, the first of them being Temir Aksak, or the “Iron Cripple,” from the late XIV century, and the second – Sultan Mehmet II (Mohammed II), the famous XV century conqueror who took Constantinople in 1453. Moreover, not a drop of Ghengis blood in neither of them. Better yet, the scary figure of Tamerlane idem Timur became the foundation for the consensual ‘biography’ of the greatest warrior of all times Alexander the Great.